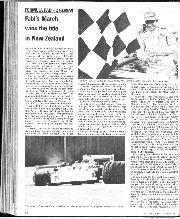 When Bernie Ecclestone took over Motor Racing Developments, or Brabham as it was more commonly known, in 1971 from Ron Tauranac, it looked for a moment as though we had seen the last of the extremely talented Australian designer, who had been responsible for every single Brabham racing car up to that time. Brabhams had, for a long while, not only produced some of the finest Grand Prix cars, but had also regularly provided a comprehensive range of excellent customer cars, for privateers based from England to Japan and almost everywhere in between. Ecclestone stopped all the production just 12 months after taking over, to concentrate all his efforts on Formula One racing and Ron Tauranac, it seemed, was destined to join Jack Brabham himself in retirement. But this was not to be, because after a short involvement with Frank Williams and a year spent with Trojan, he bounced back with a vengeance to start up his own company, Ralt. And, since those final winter months of 1974, the firm has grown in leaps and bounds to establish itself as a racing car manufacturer to be reckoned with alongside March, Lola and Chevron. So far this season, a total of 42 cars have been sold. From the beginning the initial design, penned by Tauranac, the RT1, has been constantly up-dated and developed and this chassis is now available in Formula Two, Formula Atlantic, Formula Three, Formula Super Vee and American Formula C trim. The most expensive chassis, the Formula Two, retails as a rolling chassis for £10,000, the Atlantic at £8,750 and the Formula Three at £7,500; prices which compare favourably with those of the rival manufacturers. But the Ralt story, in essence, started not in deepest Surrey at the back end of 1974, but some 30 years ago in Australia. 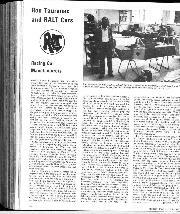 The first Ralt cars were built just after the war in Sydney where Ron lived. In the beginning he built a 500-c.c. 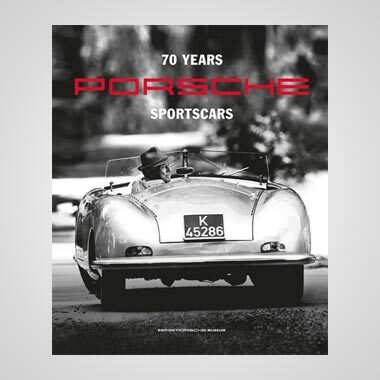 car for himself to race followed by a sports car for his brother Austin, who, incidentally, still resides in Sydney where he recently sold road cars with Jack Brabham for a time. Ralt number three was another 500-c.c. single-seater, this being an improved version of the first chassis and, after having sold that first car, in which Ron had been quite successful both in hill-clmbs and on the circuits, he decided to lay down a batch of five or six “customer” cars, for sale. He had just completed the construction of the fourth model when Jack Brabham, on a visit home, asked Ron whether he would accompany him back to England to construct racing cars. Brabham at that time had a thriving business preparing conversion kits for road car engines called Brabham Conversions (remember the Climax- engined Heralds and the like?). Ron accepted, and with the ticket (provided by Brabham) he headed back to what was really his homeland, because he had been born in England 34 years earlier, his parents having taken him to Australia before he was even aware of what countries actually were. His first work for Brabham was at a sports car race in America, and this was followed by a Formula Two event in Belgium. It was after this last meeting that the Tauranac family arrived in Britain, complete with belongings, on the boat which Ron “had loaded them onto” just before he himself left Australia. Hard work wasn’t something new to Ron and he soon settled into a full working day, and sometimes night, at Brabham’s garage, finding time on his “spare” evenings to start the design of what was to be the first Brabham racing car, a Formula Junior, destined for Australian Gavin Youl. “Armed with a hacksaw and a few other tools, I built the car in a tiny little shed in Wimbledon, sometimes working well into the early hours to get it finished as soon as possible.” Thus was the first ever Brabham born. It was christened the MRD, but all subsequent models bore the initals BT - BT standing for Brabham/Tauranac. The now legendary Brabham/Tauranac partnership lasted for many, many successful years and it would be pointless to relate it all here, but when the 1969 season was under way, Tauranac bought out his friend’s share of the business and at the end of the following season, Brabham retired from racing, leaving Ron with the company. He continued for just one more year at the head of the organisation, and at the end of 1971 Brabham’s present-day owner, Bernie Ecclestone, moved in and bought Ron’s shares. Tauranac’s interest, however, seemed to be waning and he actually got to the stage where he was employing “outside” designers to come in and work under him and design the cars that were to be offered in that particular season’s range. Ecclestone, however, soon decided, as sales plummeted, to concentrate all the company’s efforts on Grand Prix racing and all other Brabham production ceased at the end of the 1973 season, although spares were still made available for people with Brabham production cars. 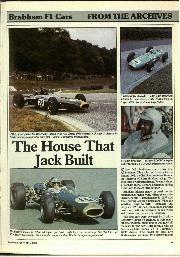 It was at this time that Tauranac amicably parted ways with the Brabham organisation. Ron by now had already been back home with his family, “to have a look around”, but on finding himself with nothing to do for a change, he quickly returned to England, deciding that retirement was out, for the time being anyway. When he got back, he accepted an offer to work with his friend Frank Williams, as an adviser. Frank was using March Grand Prix cars. But by the time the slow-arriving Len Bailey-designed Politoys project appeared mid-way through the season, Ron had already commenced work at Trojan after having been asked by Trojan’s Peter Agg to work as a consultant on the many McLaren M21 Formula Two chassis that Agg had taken delivery of. It had been decided that they should all be converted into Formula 5000 cars. The chassis had gone quite quickly in Formula Two in the hands of Jody Scheckter and when some modifications had been carried out and a 5-litre block inserted, the car proved to be far from slow, with Scheckter mopping up in the lucrative American championship, while the many models raced in the British series also proved fast in the hands of people like Bob Evans, Keith Holland and, on one or two occasions, John Watson. It was promptly agreed to build a follow up, and at the start of 1974, Formula 5000 T102 appeared. But, unfortunately, it was the only one that ever appeared, because as the petrol crisis loomed it was decided to shelve the project and the initial idea of building half a dozen cars was scrapped. The Formula One derivative, the T103, raced in the European Grands Prix, but failed to show anything like the form that previous Tauranac- designed Formula One cars had shown, due to a total lack of testing and a small budget — on which they worked wonders! Tim Schenken rarely finished competitively with the red and white car, although he only once failed to qualify it in what was a very “busy” Grand Prix season. When the year finally wound up, Tauranac began to think again of retirement. 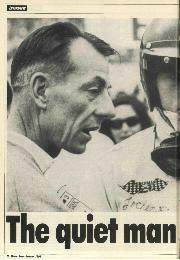 It was on one of his “idle” days that he began to think of something to do with his time once again and he remembered a young, bespectacled Aussie by the name of Larry Perkins, who had pulled up outside his home one afternoon with a rather tatty Formula Three GRD which he was using in races all over Europe. 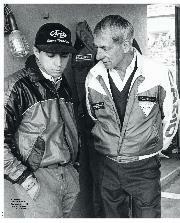 “I put in a few rivets for the lad and gave him some helpful advice and I had often thought that it would be nice to provide him with something really competitive to race, so I decided to design a chassis which he and his mechanic could build up themselves.” And so, during the final months of 1974 Ron Tauranac made up his mind to reestablish Ralt racing cars. 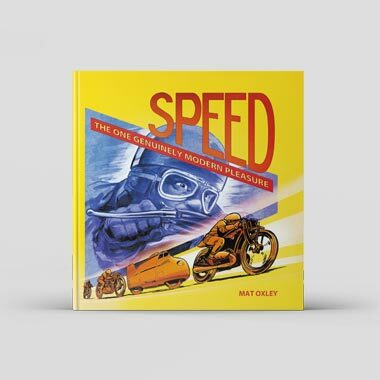 He sat down and began to design what would be “a simple, easy to maintain, yet competitive racing car, one which could be updated, modified and redeveloped as the years wore on.” And that he did. It was not long before word spread that Ron Tauranac was going to be back in business in the near future, and one of those to hear was Alain Fenn, who had previously worked with Ron at Motor Racing Developments. When Fenn heard the news he jumped on an aeroplane and headed to England from the States, where he had been working for Fred Opert, to join Ron and then the ball really started rolling. In the beginning their evenings would be spent at Ron’s house, where Ron himself could be found upstairs designing and drawing, while Alain would be downstairs occupying the telephone, ordering parts and trying to find somewhere to build the cars and house all the bits and pieces. They eventually came across premises in Snelgar Road in Woking and it was from there that the first cars were produced. As planned the first chassis was for Larry Perkins, while the others from the initial batch of five went to the Italian Roberto Marazzi, through Ralt’s agent in Italy Chuck McCarty, who, having great confidence in Ron, had agreed almost immediately to have one of his new designs, to Swede Ulf Svensson, who like McCarty, had bought Brabhams for many seasons and was very pro-Ron Tauranac, to Terry Perkins, Larry’s younger brother, and to John MacDonald in Hong Kong. That first season the Woking-based manufacturers built a total of 10 cars, utilising a staff of around half a dozen. The car received “rave” notices in the press abroad and it wasn’t surprising that a lot of orders were placed before the 1976 season got under way. The fact that Larry Perkins had come away with the European Formula Three championship with his works-loaned car obviously helped enormously. Out of the 10 cars built in the first season, four were Formula Three and built up for customers. So far this year around cars while there were three Formula Two and Formula Atlantic cars that were produced. All of them were still designated Ralt RT1s, despite the slight differences in design brought about because of the different engines, and the RT 1 shape was carried through into 1976, when once again Formula Two, Formula Atlantic and Formula Three cars were built. By this time Ron had extra foreign agents in Brian Robertson (North America) and Bertram Schafer (Germany). As more and more work was being done at the firm’s tiny premises, it became obvious that new, larger premises were needed if the company was going to expand properly. Quite a substantial amount of new machinery and plant also added weight to the need to move elsewhere, but first of all Ralt had to get their cars out to the waiting customers on time, so they stayed put and produced 30 of the updated RT 1s for the 1976 season. The majority of these were Formula Three cars, but towards the end of the year Ron Dennis, who had previously run Formula Two Marches, switched to Ralt and young American Eddie Cheever raced the car, making enough of an impression in it to persuade Dennis, who had at one time worked with Tauranac at Brabhams, to run a three-car team of Ralt-BMWs in the formula for the following season, with Cheever, Ingo Hoffman and, occasionally, Hans Stuck as the drivers. Tauranac had obviously lost none of his design talent from the Brabham days, and in the RT 1 he had a very good car. Not long after Dennis had made his intentions clear as to what he would be running in 1977, Ferrari announced that they would be returning to the Formula with their V6 Dino engine, and Ron was requested to modify the RT1 so that the “tall” engine could be fitted to two of his chassis for the Italian Minardi team to run. Things were really looking up now and with a host of orders for Formula Three cars, the money started to come rolling in. 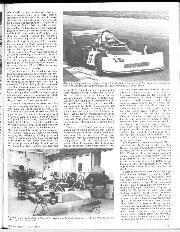 This, in view of the successes the car had had, and the prices being asked by Ralt for the rolling chassis, compared to the more (and in some cases much more) expensive cars from other manufacturers, wasn’t really too surprising. 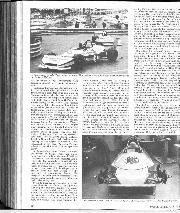 Indeed, it would be true to say that the Ralt cars had ironically filled the vacant gap in the market left by Motor Racing Developments when Ecclestone stopped the production of customer cars. Last season Ralt had their most successful year in terms of overall sales and results on the race tracks, selling a grand total of 41 cars, while the Tauranac-designed chassis took second and seventh places in the European F2 championship with Eddie Cheever and Ingo Hoffman, the former scoring the first championship Formula Two win for Ralt at Rouen as well as finishing second behind Jochen Mass’s works March at the Nurburgring. The Ferrari-engined Ralts never really went well, more probably due to the fact that the engines were unmodified, unlike those that appeared in a Chevron which had different installation and a shallower sump. The car did, however, show well on one occasion, at Misano, when Formula Three “hot-shoe” Elio de Angelis was conducting the car. But the Italians seemed to want to concentrate on the Chevron so the potential shown at Misano was never fully realised. In Formula Three the most successful cars were those of Swede Anders Olofsson, Brazilian Nelson Piquet, Jack Brabham’s son Geoffrey and de Angelis. 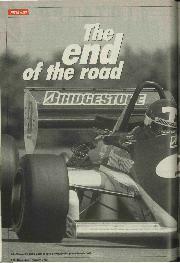 Ralt were also well represented in the North American Formula Atlantic series, with Bertil Roos amongst their drivers. At the end of the season, Tauranac up-rooted the factory in Snelgar Road and moved everything down to the newly vacated Brabham workshops in New Haw near Weybridge. And it is here that Ralt currently reside and will most likely do so for quite some time. Most of the work needed to produce the cars is done “at home”, so to speak, but some of it is shipped out to specialist firms like Arch Motors (for the fabrication of monocoques), Protoco (for fibreglass) and other smaller companies for the various sundry items that are needed to build up modern-day racing cars. Presently there are approximately 15 people employed at the new factory, this figure not including the numerous drivers who appear regularly to work on their own respective cars. Tauranac is pleased with his new workshops: “In fact we’ve got everything we need here, offices, design quarters, a machine shop, a production floor, and various other small buildings that house Formula Three cars that belong to privateers like Nelson Piquet, Geoffrey Brabham, Rob Wilson and so on. It makes the old place look like a toy shop.” Piquet, along with Britain’s Derek Warwick, has headed the Ralt Formula Three challenge this season in this country, while overseas, drivers like Dutchman Jan Lammers have carried the flag. This year’s Ralt, still known as the RT1, despite its differences from its 1977 predecessor, in terms of modifications and improvements, hasn’t sold quite as well as in 1977 up to now, but that isn’t to say that sales have dropped dramatically. There are only a few new cars in F2, the reason for this being that the Minardi team elected to run their Ferrari units in Chevrons and Ron Dennis decided to use Marches because of BMW’s involvement with his drivers, Eddie Cheever and Ingo Hoffmann. 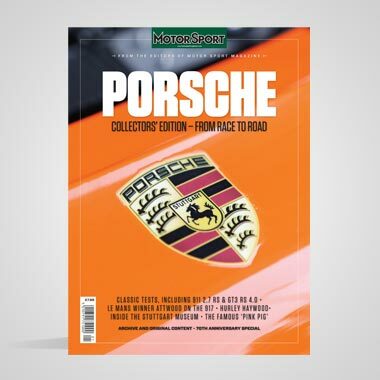 But German Super Vee ace Axel Plankenhorn has already shown that the car is far from uncompetitive, as did Larry Perkins, when he drove the car in the opening Formula Two race at Thruxton. This season has also seen the Super Vee variant come good on the Continent in the hands of Kenneth Persson and especially in the States where a Ralt currently leads the championship. But by far the most unusual Ralt this season is the one that will compete in the Citicorp Can-Am Challenge with American Tony Cicale at the wheel. This car, which is basically a Formula Two chassis, hasn’t actually been built up by Ralt themselves but by the driver in question. In fact, Tauranac hasn’t any real plans to build sports cars at the moment, although he freely admits that it is a possibility in the future, should the market so dictate. Staying in North America, Ralt’s leading Atlantic driver this year is the experienced Bobby Rahal, who can be relied upon to go well. But thinking realistically, it is difficult to believe that Ron Tauranac, after all his Formula One achievements at Brabham, won’t eventually build a Ralt Grand Prix car. He has reached the point where he now has a chassis which is super competitive in every formula for which it was designed and when you consider his statement, “I’ve never built cars to make money, I’ve only ever wanted to prove my mechanical abilities to be better than those of anybody else,” you realise that Formula One must surely be a natural progression. Only time will tell. - M.C.S.